The Corinthian League had only been in existence for twelve years when Horsham made the move from the Metropolitan League in 1957, having been formed immediately after the war. Initially comprising nine teams from in and around the London area, the popularity of post-war football soon saw their numbers increased with a further six teams joining up the following season including the likes of Eastbourne, Carshalton Athletic and Bedford Avenue. Horsham’s brief stay in the Corinthian League lasted a mere six years before the Athenian League expanded, absorbing the Delphian and Corinthian Leagues to create a three tiered set-up. This was a period of general progress with the side improving their league position annually. 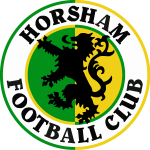 Having finished thirteenth out of fifteen teams in their first season, Horsham came ninth, eighth and then fifth before achieving a best ever finish of third place in 1961/2 behind Chesham and Maidenhead United. However, the following season saw a disappointing final placing of 12th before their enforced switch to the Athenian League. Mick Browning certainly enjoyed his time in the Corinthian League, topping the club’s goalscoring charts in five of those six seasons, scoring an impressive 126 times but the club barely noticed his absence for the visit of Edgware Town in 1959 as Horsham racked up an impressive 9-1 victory – their biggest Corinthian League success. 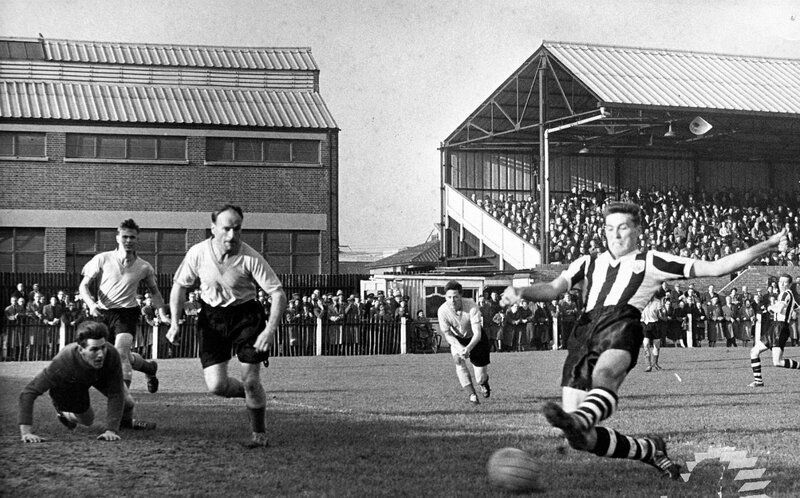 The fourth Qualifying round of the FA Cup was reached once during this period, Tooting & Mitcham United proving to be the spoilers in the sides’ first ever meeting in 1958, while the visit of Southwick in 1960 saw another record created with the club’s biggest ever win in the competition, courtesy of a 10-1 scoreline. The fourth Qualifying round of the FA Amateur Cup was made three years in succession with local rivals Dorking proving something of a lucky charm, beaten 5-0, 4-2 and 6-4.